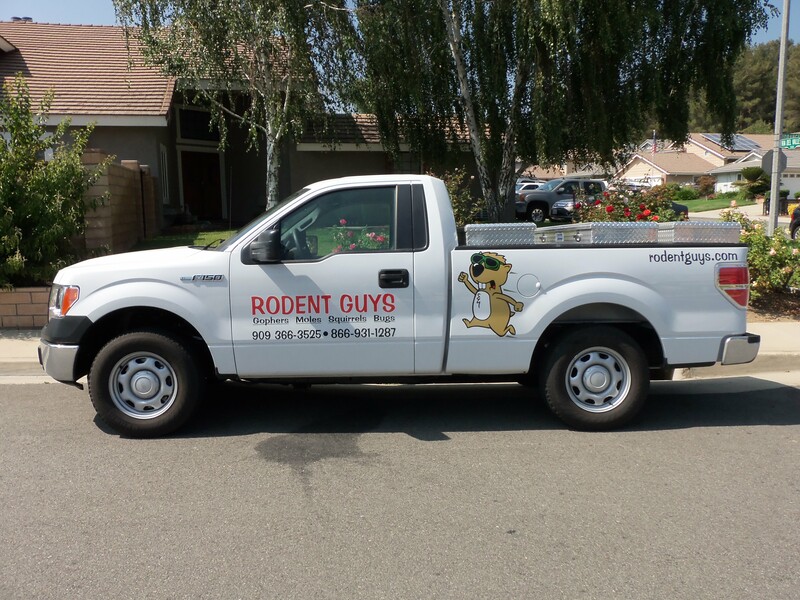 Rodent Guys Pest Control is licensed and insured giving reliable rodent control at competitive prices in Fountain Valley, California. Our staff are friendly and knowledgeable specializing in gophers, moles and ground squirrels. Pest extermination is an art that the Rodent Guys has mastered using several techniques applied to our rodent extraction niche market. Rodent Guys Pest Removal offers multiple methods to treating your common pests. Many of our methods are kids and dog friendly. This makes our company a great decision for customers with kids, dogs or concerns about other non-target wildlife that may be affected by normal rodent extermination techniques. Gophers will leave multiple mounds of dirt in the garden. Gophers are rodents that prefer to live a solitary life. Rodent Guys pest control specialize in gopher extermination and extraction for Fountain Valley. We begin by walking the lawn and scan for the ideal spot to set traps, and then we return a few days later and check the traps. Once the trap check is complete the technician will use a carbon monoxide machine to inject gas into the tunnel system to ensure complete control. Moles are more difficult to control, which requires some more technique that the technicians at Rodent Guys pest control have. Moles are smaller than gophers and require a different trap. A employee will go out to the property and make sure that it is mole, and then set the traps. The traps will be checked a few days later to extract the mole or reset traps as needed. Mole are more difficult to treat so customers should take advantage of the 60-day guarantee. The guarantee allows the customer to call our company within their guarantee period if they spot any new activity. One of our friendly employees will go back out and re-treat the property as often as needed during the guarantee span at no additional cost. Another pest that Rodent Guys specialize in are ground squirrels in Fountain Valley. If someone has issues with squirrels a technician will be dispatched out and set traps in key areas around the property. During the trap set up and trap checks the squirrel tunnels will be treated and closed off. Pest control is not just about treating rodents, bugs are also considered as pests. Our company performs outside insect. When a employee goes out to spray a house they will normally spray the base foundation and anywhere that leads into the building. The best area to defend are vents, access doors, and fissures in stucco or other crevasses a bug can get into. We also spray around the bbq, trash area and pool pumps and we will walk around the yard for trouble spots which are all high bug and insect traffic areas, which are often overlooked. The spraying can help elminate cockroaches, ants, spiders, roaches, silverfish, fleas, ticks, and other bugs.